Nowadays it is more common for celebrities to admit to having a hair transplant. There is less embarassment thanks in part to several high profile men admitting to having the procedure done and giving positive reviews about it via social media and video. For those of you who are more mature, you may remember the constant teasing and heckling Eric Morecombe used to direct at his partner Ernie about his “piece”, implying Ernie wore a toupee. It was a comedic theme running through their partnership. 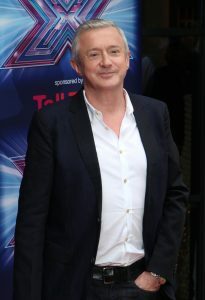 More recently, Simon Cowell finally told Louis Walsh to get something done about his lack of hair, having teased him on air about his bald patch. 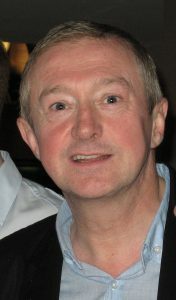 In fact, Louis Walsh took the advice and had a hair transplant. He admitted that Simon had basically told him to get the hair sorted and he did so as a form of “maintenance” to maintain a more youthful appearance. This was after having dyed his grey hair for some years plus having his eyebags removed back in 2009. Here is Louis before and after the transplant. Louis admits that having seen the results of Wayne Rooney’s celebrity hair transplant he was encouraged by how natural it looked. 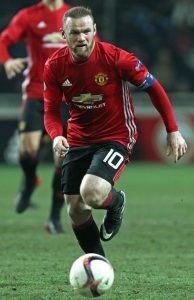 Wayne Rooney is probably one of the most high-profile sportsmen to have a hair transplant and was losing his hair at a very young age. Back in 2010 Wayne Rooney was only 25 years old yet his hairline had significantly receded. He kept it cropped short to minimise the impact of his hair loss but admitted it was impacting his self-esteem. In 2013 he had a Fue hair transplant at a Harley Street Clinic and sent out a tweet to all his followers confirming that he had undergone the procedure, proclaiming himself delighted with the result. Wayne Rooney has done a lot for many men considering this procedure. He was honest about the impact losing his hair at 25 had on him and how the new hair made him feel more confident. Below you can see the 2016 version of Wayne Rooney complete with hair transplant and even sporting a beard to complete the rugged sportsman look! Other sportsmen who have had hair transplants include Steven Fletcher The Sunderland and Scottish International Football Striker, Rooney’s Manchester United colleague Ryan Giggs, tennis superstar Rafa Nadal, cricket players, Graham Gooch and Shane Warne and the rugby player, Kyran Bracken. Ask any actor or actress about their hairstyle and they will laugh and raise an eyebrow. Actors hair undergoes a lot of work. They go from wearing costume wigs for period dramas to shaving their hair to within an inch of its life for post-apocalyptic dramas and sci fi (think Sigourney Weaver in Alien and James McAvoy in X-men apocalypse). Actors are often the front men and women for hair products so what happens if their hair starts thinning and the hairline receding? Answer, they get a hair transplant because their hair is part of their trade. Jason Alexander who played famous bald man George Costanza on “Seinfeld” hilariously addressed his fans questions about his new thick locks via tweet explaining his shiny bald dome was a distraction- a beacon of light on stage and screen and needed to be sorted! Hair loss is associated most commonly with ageing and stars of stage and screen want to keep their youthfulness for as long as possible. In fact age is nothing to do with it- male pattern baldness can occur at any age. However, actors are not in the business of growing old gracefully and, why should they? With so many advances in the science of hair loss treatment there is a solution to most forms of hair loss and receding hairline and the most effective is a hair transplant. 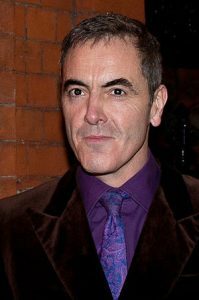 James Nesbitt has been open about having several hair transplant procedures since 2009 when his hairline started receding dramatically when he was in his early forties. Here he is in 2008, During this time, he was working on stage and screen and in television. However, he claims that having the hair transplants boosted his career and got him more lead roles such as in The Missing and the Secret plus getting a role in The Hobbit. He felt that as he was in the public eye a lot comments about his hair were going to be inevitable. Here is James after his first hair transplant. 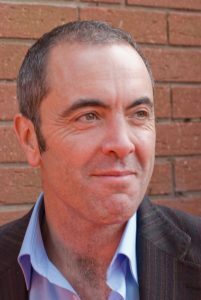 James made a video about using hair transplant surgery as a solution and is very positive about the results. Maybe you think hair transplants are just for celebrities, actors, sportsmen, famous rich people? This couldn’t be further from the truth. Nowadays, any man can get an affordable hair transplant at a recognised expert clinic for a very modest investment. So, what’s it worth to you to have your hair back? For these celebrities and sportsmen, it has restored their self-esteem and self-confidence and it can do the same for you. 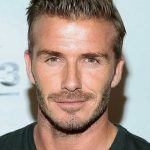 These celebrity hair transplants may inspire you and once you experience the boost a hair transplant can give you, you’ll feel like a celebrity yourself!